A spinal stenosis home remedy is a general name for any product, treatment or approach to care which can be patient-controlled and used at home for self-treating symptoms of foraminal or central canal narrowing. There are no methods of home care which are truly designed to cure spinal stenosis. This is logical, since the structural condition exists inside the spinal canal and can not be changed without professional and most often invasive therapy. However, some home-use treatments are ideal for affording the patient pain management and increased functionality, allowing them to avoid more risky and expensive methods of care, such as spinal stenosis drugs, and ongoing hands-on modalities like chiropractic, massage and physical therapy. This essay profiles the best choices for home treatment of various forms of spinal stenosis. Exercise therapy may increase functionality and help reduce pain and stiffness. Obviously, exercise must be done in moderation and must consist of activities which suit the physical abilities of the patient. Supervision by a physical therapist or certified fitness trainer is a great idea here. Heat or ice can be the best forms of inexpensive and effective pain management for home use. TENS for spinal stenosis can be used at home by renting or purchasing inexpensive TENS units. Massage can be amateurish and still be very effective. Some of the best massages I ever received were from caring people who had little training, but put their heart into the job. Friends and family are ideal. Never underestimate the power of a loving massage to soothe almost anything which ails you. Trust is already established and there is no feeling of discomfort from being touched by a virtual stranger. Pain coaching is a great option for managing stenosis at home. This path is especially useful for patients who have not found relief from traditional medical therapies. Knowledge therapy is also a perfect option for patients who want to take control of their health and learn why stenosis might not be the reason for their painful symptoms. 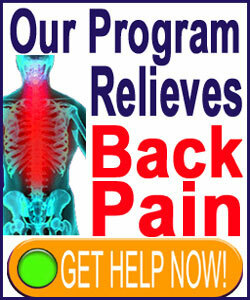 Our Cure Back Pain Forever Program is available online, offering immediate help to people who need help right now. Best of all, it is safe, effective and praised by many notable healthcare providers. Spinal stenosis products may make it possible to enjoy lasting relief at home. However, let the buyer beware, as many scams are out there and a great majority of home-use products are little more than plastic junk with some LED lights for effect. Spinal stenosis back braces seem like strange solutions, since they really do nothing at all from a medical viewpoint. However, so many patients are emotionally dependent on their braces that I have come to accept them for inclusion here as a viable option, even if for placebo effect alone. Inversion tables and boots are popular do-it-yourself spinal decompression approaches. I have never been a fan of inversion for stenosis back pain treatment; but once again, understand that so many of you swear by it. Just research your options carefully and be sure to understand there are risks involved with this choice. Many use home care devices and treatment to supplement professional medical or complementary therapy. This often allows them to forsake pharmaceutical dependency, which is a very good thing indeed. Some patients do not trust doctors, due to bad personal experiences in the past. They would rather try anything that they can control, rather than relinquish their fate to a medical professional. Some patients have no insurance and no ability to pay for the incredibly costly burden of medical care. These patients are far more numerous than you think, everywhere in the world. Remember to learn all you can about your home remedy options before agreeing to try anything. When possible, talk to your doctor and use their wisdom to help you decide on the most prudent path to success using home care. Do not waste your money on ridiculous products which claim miracle cures. You are virtually sure to be greatly disappointed here. 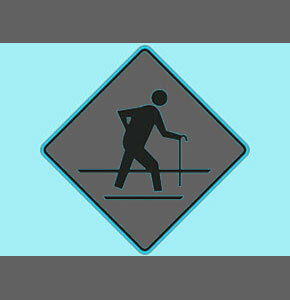 Use common sense when selecting any treatment approach and apply it as indicated for your age, condition and diagnosis. Following these guidelines will help any patient to make the most out of every dollar they might choose to invest in a home remedy.